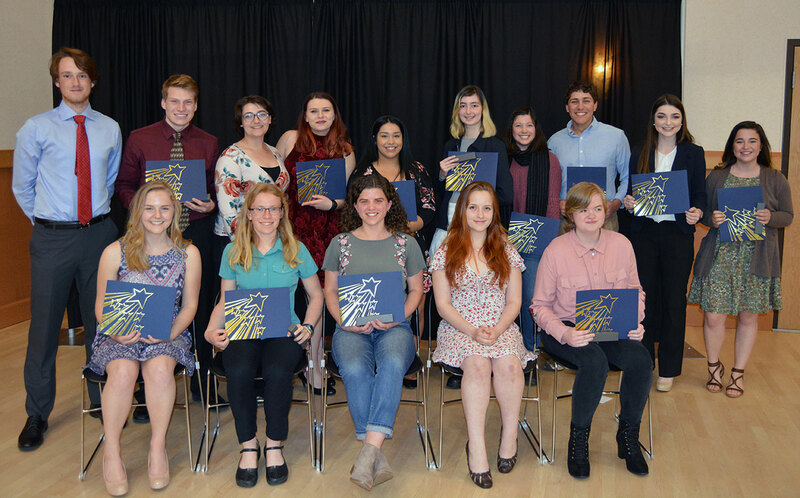 The team is comprised of approximately 20 outstanding high school seniors selected by their high school administrators based on their exceptional academic records, demonstrated application of academic skills, and noteworthy involvement in leadership and community activities. Each demonstrates a commitment to learning and involvement outside the classroom. In the community they are volunteers, activists, and agents for change. The average GPA has been over 4.3. Of the team members, two are named exceptional “Stellar Students” during an evening ceremony for students and families held in April. Nearly $7,000 in scholarships is presented, as each member of the team receives a $300 scholarship, and the two Stellar Students receive an additional $200.